JIM COLE ran the fastest time in more than three years to claim victory in August’s Armada Summer 5k Series run at Saltram on Wednesday evening. The Tavistock Run Project athlete overcame June’s winner Matthew Bradley and promising youngster Oliver Smart to come home first. He clocked an impressive time of 15 minutes and 55 seconds. It was the first time anyone had gone under 16 minutes for the tricky multi-terrain course since Derby’s Johnny Gilby clocked 15.54 to win in June 2015. City of Plymouth’s Bradley nearly went under 16 minutes himself. He clocked 16.02 minutes, with junior Smart clocking a quick 16.20 minutes. Fourth athlete home, and first women, was City of Plymouth’s Poppy Tank. The Utah University student clocked the fastest female time of the year with 17.40 minutes. 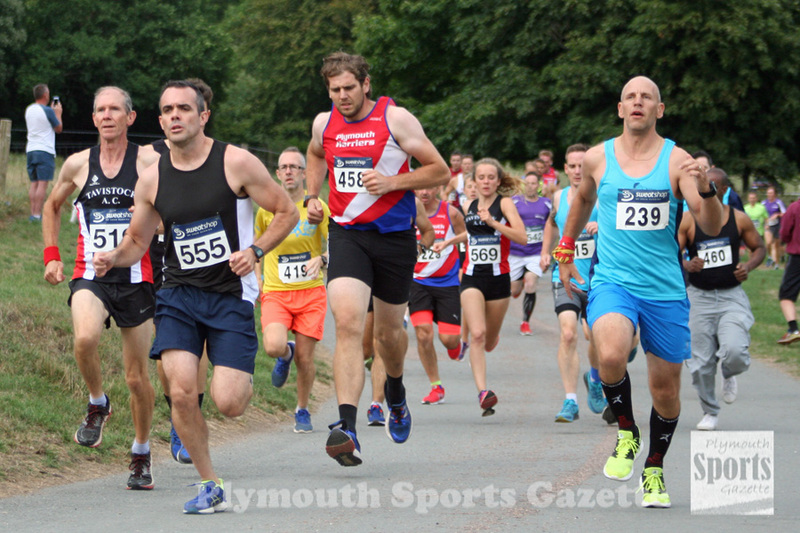 Plymouth Harriers’ David Beckenkrager was fifth (17.45) overall, with Storm’s Peter Waumsley (18.13) sixth. Charlene and Molly Storey were second and third females home in 19.03 and 19.18 minutes, respectively, with Erme Valley’s Emma Lake fourth. There was an impressive turnout for August’s run with 237 people completing the course around the National Trust property. The final event in the series will take place on Wednesday, September 12. 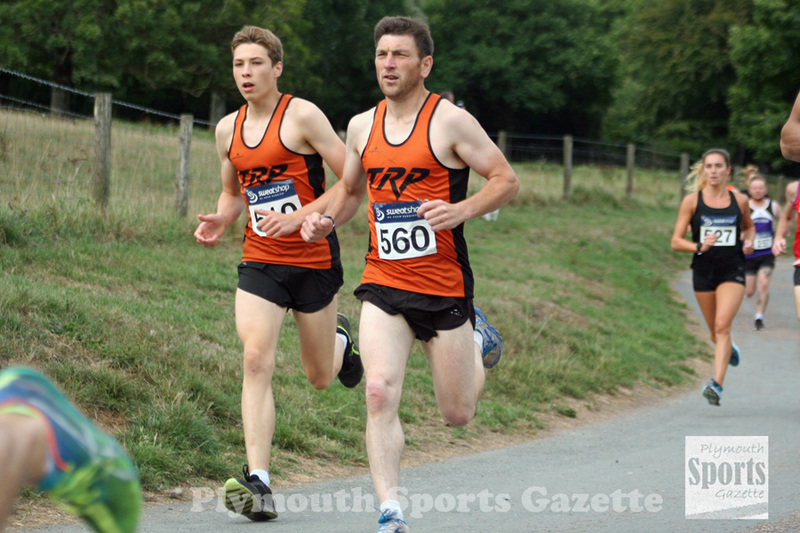 Meanwhile, a number of the region’s athletes were among the prize-winners at the Totnes 10k. Plymouth Harriers’ David Beckenkrager was seventh overall and first male 45 in a time of 38.50 minutes. Storm’s Peter Waumsley was second male 45 in 40.48. 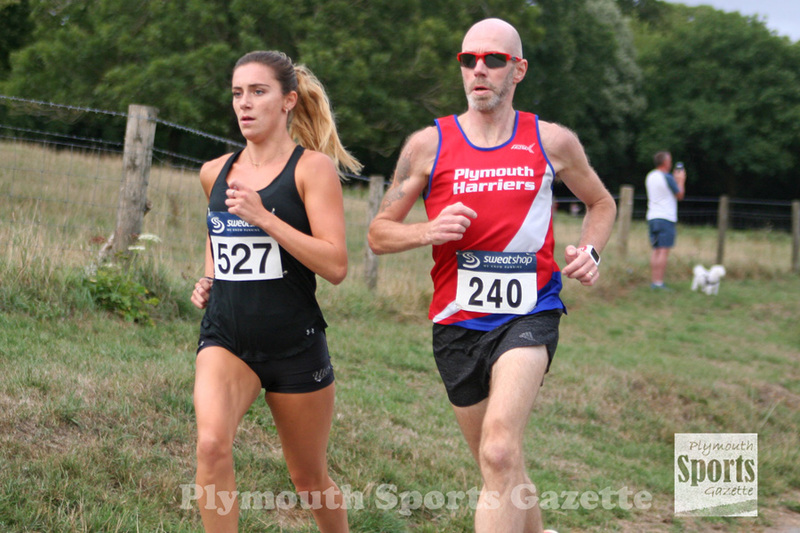 Tavistock’s Pete Bazley was second male 60, while Plymouth Musketeers’ Rachel Tarrant was first female 45 and Erme Valley Harriers’ Alison Engledew first female 60. The race was won by Chichester’s James Baker in 35.19, with Torbay’s Arran Tocknell second (37.33) and South Devon’s David Hampton third (37.34). Full results from the Totnes 10k can be found HERE.